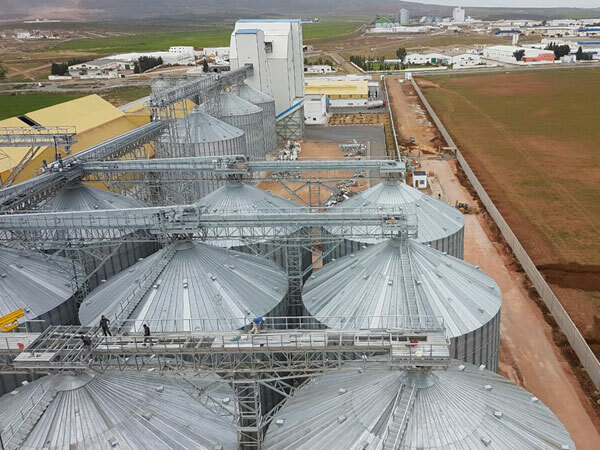 Our company mainly operates in the post-harvest sector where it offers comprehensive solutions for bulk grain and animal feed storage. Our team not only understands our own technology but also about important processes to keep the quality of the grain. Hence, we pay special attention to the quality of the grain through processes like cleaning, drying, storage, handling and comprehensive control systems. This, in addition to our strategy of offering the highest quality products and services, led us to guarantee a long storage period, without damaging the grains. We provide a full engineering service aimed at maintaining and controlling the quality of the product during storage and handling, offering you convenience, security, efficiency and value for money in your facilities management. Storage silos, vertical and horizontal conveying systems, grain cleaning, drying and conditioning, temperature control and ventilation, feed mill plants, and automation using a dedicated management software.